Higher education faces a looming demographic storm. Decades-long patterns in fertility, migration, and immigration persistently nudge the country toward the Hispanic Southwest. As a result, the Northeast and Midwest―traditional higher education strongholds―expect to lose 5 percent of their college-aged populations between now and the mid-2020s. Furthermore, and in response to the Great Recession, child-bearing has plummeted. In 2026, when the front edge of this birth dearth reaches college campuses, the number of college-aged students will drop almost 15 percent in just 5 years. 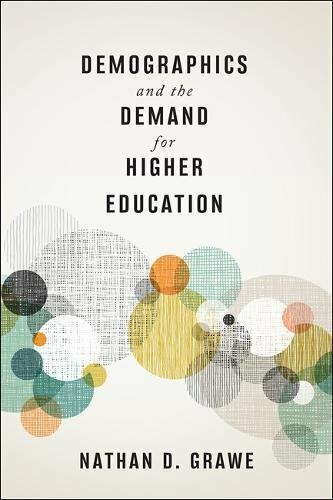 In Demographics and the Demand for Higher Education, Nathan D. Grawe has developed the Higher Education Demand Index (HEDI), which relies on data from the 2002 Education Longitudinal Study (ELS) to estimate the probability of college-going using basic demographic variables. Analyzing demand forecasts by institution type and rank while disaggregating by demographic groups, Grawe provides separate forecasts for two-year colleges, elite institutions, and everything in between. The future demand for college attendance, he argues, depends critically on institution type. While many schools face painful contractions, for example, demand for elite schools is expected to grow by more than 15 percent in future years. Essential for administrators and trustees who are responsible for recruitment, admissions, student support, tenure practices, facilities construction, and strategic planning, this book is a practical guide for navigating coming enrollment challenges.